The government of Canada has released the details of the Global Skills Strategy as part of its Innovation Agenda to facilitate the entry of skilled foreign national workers to meet important labour market needs. The Global Skills Strategy will introduce a streamlined Labour Market Impact Assessment route called the Global Talent Stream and short-term Work Permit rights without the need to obtain work authorization in specified situations as well as facilitate priority processing at Canadian diplomatic missions abroad. Starting June 12, 2017, the GSS pilot program will run for an initial period of two years. Immigration, Refugee and Citizenship Canada (IRCC) has committed to process applications under the Global Talent Stream in 10 business days. Category A: Referral by a designated partner - innovative firms must be referred by one of ESDC's designated referral partners and be seeking to hire "unique and specialized talent." Category B: Employers may have access to this element of the Global Talent Stream by demonstrating that they are seeking to hire highly skilled foreign national workers to fill occupations on the Global Talent Occupations list. One period of up to 30 days per year, if 12 months have elapsed since the first day of work under the previous use of the exemption. Applicants already in Canada cannot make an initial application for this exemption in country. Renewal applications are available only after meeting the respective waiting period. An application is submitted by a foreign national with an approved LMIA issued by ESDC under the Global Talent Stream (regardless of NOC). To qualify for the two-week priority processing, applicants must submit a complete online application, including up-front medical certificates and a biometric fee (where required), and complete biometrics requirements within two weeks of the application. The two-week priority processing will not apply for new or renewal Work Permit applications within Canada. Researchers are eligible for a Work Permit exemption for up to 120 consecutive calendar days. They must be engaged in mainly research activities at a publicly-funded, degree-granting institution at a university or college level, or an affiliated research institution with a letter from the receiving institution attesting that the work is primarily research and detailing the period of employment. Renewal applications are available only after 12 months have elapsed since the first day of work under any earlier use of the exemption. Faster processing times and a new short-term Work Permit exemption will benefit employers and foreign nationals as it would reduce administrative hurdles for foreign national workers in Canada. 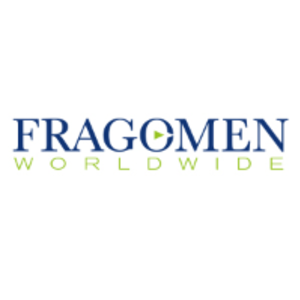 Fragomen will provide updated information on the proposed programs as soon as it becomes available.